Dr. Sarah LaRose is an Assistant Professor in Agricultural Sciences Education and Communication with a joint appointment in the College of Agriculture and the College of Education. Dr. LaRose began at Purdue in Fall 2018. She earned her PhD at the University of Florida where she worked as a teaching and research assistant, and before that she taught agricultural education at Nonnewaug High School in Woodbury, Connecticut for 7 years. To better understand and measure the short, medium, and long-term effects of school-based agricultural education programs upon increasing agricultural literacy and preparing a workforce to meet cross-disciplinary needs of the 21st century. Specifically, I am interested in how agricultural education can help meet the needs of the agricultural workforce, looking at career development factors of school-based agricultural education students. As a teacher educator, I am also interested in how we can better recruit, prepare and support teachers so that we retain high quality educators in the profession. I am excited about my new role as an agricultural teacher educator at Purdue University! What led you to be interested in this/these area(s)? My research interests have arisen through my experiences as an agricultural educator. I am passionate about ensuring all students have the opportunity to benefit from the myriad of options within agricultural education. Thus, my passion for helping others experience the opportunities available to them helped motivate me to advocate for greater support for our Ag Ed Programs. When advocating for community and legislative support for our SBAE programs, it was useful to supply stakeholders with metrics which quantified the impact that our programs had upon student success. Although some survey data collection was conducted in my state, it was challenging to provide data to legislators and administrators which empirically supported the anecdotal statements of programmatic impact. In an age of accountability and tightening budgets, demonstrating clear effects of program delivery is vital. Consequently, I seek to identify the short, medium, and long-term effects of SBAE upon student skill development, career outcomes, and agricultural literacy. What has been one of your most rewarding research experiences? Hearing statements like this helped reaffirm why I do what I do as an agricultural educator, and why I was spending so much of my time conducting my research in this area! Is there a publication that are you particularly proud of? LaRose, S. E., & Lundy, L. K. (2017, May). Evidence for Recruitment Appeals to Students of Color in the National Teach Ag Campaign: An Exploratory Media Content Analysis. Proceedings of the 2017 National AAAE Research Conference, San Luis Obispo, CA. This was the first research project which I designed and conducted by myself. I was able to blend my interests in agricultural education, recruitment, and communication with this project. While working as a school-based agricultural educator, I noticed that the demographics of our program did not always reflect those of the populations which we served. Racial disparity has also been reflected in agriculture as a whole despite an increasingly diverse population, and I observed the demographics of students involved in the National FFA Organization to not reflect the greater student population in the United States. The disparities that I observed, combined with conversations with colleagues, led me to conduct research regarding the recruitment of students of color to teach agricultural education. Using the constant comparative method, I described depictions of themes found in the annual reports of the National Teach Ag Campaign which demonstrated appeals to students of color, as well as the presence of underrepresented populations as depicted by annual reports of the National Teach Ag Campaign. I shared the results of my research with the Teach Ag Campaign as well as other agricultural education professionals at regional and national AAAE conferences, creating an opportunity to engage in further reflective conversations about the state of recruitment and inclusion of individuals from diverse backgrounds into agricultural education. Since then, the National Teach Ag Campaign has developed an Inclusion and Diversity Taskforce, and conducted inclusion and diversity listening sessions at National FFA Convention. While I don’t know for sure that it was my paper which prompted these actions, I think it was influential in helping propel reflective action being taken to improve the work that we do to reach all students. If you had unlimited funds and time, what would be your dream research project? As a new faculty member, this almost seems like an overwhelming question! I’d love to see if we could develop some sort of data collection system for all agricultural education students nationwide so that we could better evaluate the performance of our school-based agricultural education programs. These data could be used to not only inform program performance but also help tell the story of career and technical education in agriculture to exterior stakeholders, helping garner more support and understanding. Any advice for your fellow researchers? 1) Organize your ideas and post them somewhere – I like logic models, so this helps me organize my thinking a lot, especially when I feel I am in the weeds of research. 2) Remember your “why” and revisit it often. I love working with students at both the secondary and postsecondary level, as well as agriculture teachers. The opportunity to help impact their lives in a positive way helps drive me every day. Dr. Lisa Lambert Snodgrass is Assistant Professor of Educational Leadership and Policy Studies in the Department of Educational Studies. She began this position in Fall 2018. She is a graduate of the Purdue College of Education with a PhD in Curriculum & Instruction with concentrations in Career and Technical Education and Educational Leadership. Prior to her current position, Dr. Snodgrass has been at Purdue for 12 years in a variety of capacities. She served 3 years as an Academic Advisor in Student Services and 8 years as Director of Career Development for the College of Liberal Arts. She spent one year as a Post-doctoral Research Assistant in the College of Agriculture’s Department of Agricultural Sciences Education and Communication, and in Purdue’s Center for Intercultural Learning, Mentorship, Assessment, and Research (CILMAR) in the Office of International Programs. Before coming to Purdue, Dr. Snodgrass was a middle school assistant principal, middle school principal, and high school English teacher. My research agenda focuses on the cultural dimensions of student achievement. Assessing the impact of curricular & pedagogical interventions on cultural competencies, culturally responsive leadership, and equity of educational access are my primary areas of interest. When I was the Director of Career Development in the College of Liberal Arts, I developed an internship abroad program in Cartagena, Colombia, partnering with Purdue Alumni and local business owners to develop internships. I fostered a relationship with the Universidad de Cartagena and co-authored an articulation agreement between our two institutions. During this time I began conducting research assessing the impact of experiential study abroad programming on the intercultural competency of student participants which led me to pursue and complete the doctorate. The field of intercultural studies is a rapidly growing area for research, expanding beyond the study of international travel programming to include the embedding of intercultural learning outcomes in a variety of content areas. Working with CILMAR and the College of Agriculture (COA) Department of Agricultural Sciences Education and Communication (ASEC) and the Office of Multicultural Programs (OMP) to research and assess the impact of experiential cultural interventions on the cultural competency of students in a social justice Agriculture course was a rewarding experience. Lambert Snodgrass, L., Morris, P. V., & Acheson, K. (2018). Assessing the intercultural sensitivity of students in an agriculture diversity and social justice course. Multicultural Education Review, 1-17. With unlimited time and funds, I would do a comparative analysis of the cultural ecosystems in Higher Education (HE) across the globe, investigating the cultural responsivity of HE leadership from multiple institutions on each continent. As I have just begun my academic career I’ll offer some advice my faculty mentor gave me that has been highly impactful: To build a network of mentors in and out of the department and research areas. Doing so helps build an interdisciplinary network of academics and opens opportunities for interesting and unique research collaborations. Dr. Hua-Hua Chang is the Charles R. Hicks Chair Professor in the Department of Educational Studies. Dr. Chang came to Purdue in August 2018 from the University of Illinois, where he held professorships in educational psychology, psychology and statistics. Before working at UIUC, he worked at the University of Texas Austin as an associate professor, from 2001 to 2005. He is the 2017 recipient of the American Education Research Association (AERA) E. F. Lindquist Award. I focus primarily on measurement and assessment. To align my research agenda with the University’s Initiative of Integrative Data Science, my research team and I will conduct research and develop cutting edge psychometric components to support machine learning and artificial intelligence. Our research outcomes in adaptive testing, smart item banking, large-scale assessment, and data mining will help promote individualized learning anytime and anywhere in the Big data era and will benefit Purdue community. After receiving my Ph.D., I worked nine years in the testing industry, six years at Educational Testing Service and three at National Board of Medical Examiners, which led to the grounding of my theoretical and empirical research to various practical problems arising in the field of psychometrics. One of my most rewarding research experiences is the advancement we made in the field of Computerized Adaptive Testing (CAT). CAT, also known as tailored testing, is a method for administering tests that adapt to the examinee’s ability level. From 1970’s to 1990’s, the conventional wisdom was to select the next item that has maximum discrimination power on the estimated ability. As a result, items with high discriminations would always be chosen, and indeed, left many good items in the item bank only rarely, if ever, used. We demonstrated that this strategy is not appropriate for CAT testing and proposed a framework of using low-discrimination items at the beginning of the test and high discrimination items later in the test. This research has generated a great number of follow up studies by hundreds of authors and literally turned CAT operation on its direction, improving a great deal of efficiency, item pool usage and test security. In 2013 I made a presidential address titled “Psychometrics Behind Computerized Adaptive Testing” at the 78th Annual Meeting of the Psychometric Society, and later it was published in Psychometrika. Chang, H.-H. (2015). Psychometrics Behind Computerized Adaptive Testing. Psychometrika, 80(1), 1-20. The paper not only contributed to a broader understanding of technical developments of CAT, but also predicted CAT will help individualized learning on a mass scale. My dream project at Purdue is to improve STEM education by utilizing the psychometric technologies we developed. For example, from 2014-2018, I served as a co-PI on an NSF grant with an objective to use CAT to reduce dropout rate on a large undergraduate physics class at UIUC. Collaborating with a group of physics professors we showed that students who used the CAT system did significantly better on the final examination than those who did not. Research contribution is always measured by originality, creativity, effort and patience. Dr. Nancy Marchand-Martella is the Suzi and Dale Gallagher Dean of Education. She received her PhD in Special Education from Utah State University. She began her position in the College in Summer 2018. Prior to Purdue, she held faculty and administrative positions at Gonzaga University, Drake University, University of Montana, Eastern Washington University, and the University of Oklahoma. I conduct research on effective instructional strategies and programs for students in pre-Kgrade 12, typically within an MTSS (multi-tier system of supports) framework. I became interested in this research area after using explicit instructional programs in schools to help teach students who struggled academically. Students made improvements in academic performance and exhibited better classroom behavior. My most rewarding research experience occurred at an elementary school that implemented Direct Instruction programs. The school was so successful in their implementation of these programs that they did not need as many special education teachers—students were successful in Tiers 1 and 2 and did not need Tier 3 or special education services support. Marchand-Martella, N., Ruby, S. F., & Martella, R. (2007). Intensifying Reading Instruction for Students within a Three-Tier Model: Standard-Protocol and Problem Solving Approaches within a Response-to-Intervention (RTI) System. TEACHING Exceptional Children Plus, 3(5). This publication showcases my passion for the use of scientifically validated curricular programs within a Response to Intervention (RTI) system (as described in #3). My dream research project would center on assessing the impact of research-validated programs delivered in a co-teaching format (general education and special education teachers working side by side) coupled with a strong positive behavior support model within a district-wide adoption of MTSS. I would also like to determine the long-term effects of such practices on students’ academic and behavioral success. Never lose sight of your passion…after all…. we ALL are in it for our students. Dr. Ronald Martella is Professor of Special Education in the Department of Educational Studies. He began at Purdue in 2018. He has a PhD in Special Education from Utah State University. Prior to Purdue. Dr. Martella was a faculty member at the University of Oklahoma. He has also been a faculty member at Eastern Washington University, University of Montana, Drake University, and the University of Hawaii. Implementing multi-tiered system of support (MTSS) in schools around the country. This system involves the implementation of Scientificallyvalidated instructional approaches and curriculum as well as positive behavior intervention and supports. MTSS involves the integration of effective instructional and behavior management approaches. The fact that we need to provide effective supports to all students regardless of whether or not they have a disability. MTSS is an attempt to prevent students from entering into the special education system by preventing learning and behavior issues. We tend to address learning and behavior issues later in a student’s life (e.g., third grade), if at all. We know that earlier treatment and supports lead to better outcomes. An effectively implemented MTSS program attempts to provide this early support. Implementing a school-wide response-to-intervention model in an elementary school which involved the use of scientifically-validated reading curricula. The school became one of the top performing elementary schools in the State of Washington. Also, the school had to reassign one of their special education teachers half time to Title 1 support due to fewer students qualifying for special education. This project showed me that we can prevent many academic and behavior problems. An article published in the Journal of Behavioral Education with an undergraduate student of mine. The study was on the use of self-monitoring to decrease negative verbalizations. The study combined two single-case designs in a novel manner and is cited or described in several textbooks in behavior analysis, special education, and educational psychology. Dalton, T., Martella, R., & Marchand-Martella, N. (1999). The effects of a self-management program in reducing off-task behavior. Journal of Behavioral Education 9(3-4), 157-176. To conduct a large-scale implementation of MTSS in a large urban school district and comparing the results to a similar district using the usual programming. Find an area of passion for your research. Also, always think about how your research can ultimately better the lives of children and adults. Dr. Christine Kiracofe is an Associate Professor of Educational Leadership and Policy Studies in the Department of Educational Studies. This is her first year at Purdue. She has an Ed.D. in Educational Administration (Education Law and Finance) from the University of Georgia & Certificates in Legal Mediation from Northwestern University and Family Law Mediation from Pepperdine Law School. Dr. Kiracofe was a professor at Northern Illinois University for 14 years prior to coming to Purdue. My research agenda focuses on the intersection of Education Law and Finance. School Finance Litigation (when petitioners sue states, arguing that state funding mechanisms for K-12 education are inadequate/inequitable) and desegregation are my primary areas of interest. After my undergraduate degree I went to law school. I quickly learned that I didn’t want to practice law, but found out that I could study how the law relates to education in a doctoral program. I went to the University of Georgia where I worked with the Education Law Consortium during my graduate program. The field of school finance litigation is a relatively small one, and so often my work only reaches a small circle of people. However, some of the research that I have published has been cited to or by Federal Courts, including the U.S. Supreme Court. Feeling like what I do research-wise could play a small role in education policy through Court decisions is incredibly rewarding. Wood, R.C., Thompson, D.C., Dayton, J. & Kiracofe, C. (2015). Educational Finance Law: Constitutional Challenges to State Aid Plans – An Analysis of Strategies. Cleveland, Ohio: Education Law Association. I have been incredibly blessed to have fantastic professional mentors throughout my career. Take every opportunity you have to learn from and make connections with scholars who work in the same field as you – it can lead to some amazing opportunities. Dr. Adrie Koehler-Blair began as an Assistant Professor of Learning Design and Technology in the Department of Curriculum and Instruction in Fall 2018. She previously worked for the college as a Visiting Assistant Professor after completing her PhD in Summer 2015. Prior to her graduate students, she was high school business education teacher. In a broad sense, my research focuses on the instructor’s role in facilitating meaningful teaching and learning experiences through two main areas: the use of problem-centered methodologies and the role digital tools play in supporting the teaching and learning process. Additionally, I’m interested in the intersection of these two areas—facilitating problem-centered learning using digital tools. Three key experiences have influenced my research efforts. First, when I became a high school teacher, I often felt uncertain about my teaching abilities, which led me to wonder what effective and meaningful teaching and learning is and whether I was accomplishing it. Second, upon starting my Ph.D. program, I had the opportunity to work with pre-service teachers learning to implement emerging Internet technologies for teaching and learning purposes. This experience really prompted me to consider how the specific affordances of technologies can impact the instructional process and be used to improve the facilitation of teaching and learning—especially technologies that are readily available to most teachers and students. Third, also during graduate school, I had an opportunity to complete an instructional design “case” course and develop problem-solving skills from completing the experience. From my perspective, these three areas are connected, and they have the potential to overlap to support teaching and learning. I really see my teaching and research as having a reciprocal relationship. That is, my research interests have grown directly from my personal teaching and learning experiences. At the same time, as I have gained a deeper insight into the teaching and learning process from completing various research projects, my teaching and learning efforts have been influenced and improved. So, any research that helps me become a stronger teacher is rewarding for me. One paper I’m proud of is an article published in the Journal of Teacher Education. This article came from my dissertation. The acceptance was an affirmation for me—this was a project that I designed and executed (of course with help), but it made me feel like I had something meaningful to contribute to the field since a reputable journal published it. I often think about my experience as a new high school teacher and the type of support I received. With unlimited funds and time, I would love to create individualized support plans for beginning teachers that help them with transitioning into the profession, support the development of strong design skills, and consider how technology can facilitate this process. I don’t have any advice! I try to learn from each research project that I complete. I have learned so much, and I have so much still to learn! Dr. Lanette Jimerson is a Visiting Assistant Professor of English Education in the Department of Curriculum & Instruction, with a joint appointment in the Department of English, College of Liberal Arts. This is her first semester at Purdue University. She earned her doctorate in education from the University of California, Berkeley. Prior to Purdue, Dr. Jimerson worked for the Graduate School of Education at U.C. Berkeley and before she was a researcher at Stanford University. My research focuses on the literacy development of marginalized populations, particularly their writing competencies. As a former secondary teacher and literacy specialist I noticed that young people who were deemed “not good writers” had very engaged writing lives and so I wanted to investigate how we could leverage the writing they were engaged in outside of school. A research project that followed a pre-service teacher into his first year of teaching. Through observations and weekly semi-structured interviews, he was able to identify a change in his writing instruction, implement that change, and shift the ownership and accountability of writing upon students. The outcome was a class novella that students worked diligently to create and ensure that the writing conventions and content were excellent. They were also adamant about weekly author’s chair in which new chapters of the novella were read and critiqued. Jimerson, L. & Hersey, P. (2016). Localizing human rights through technology: Two literacy based examples. In Z. Babaci-Wilhite (Ed. ), Human Rights in Language and STEM Education: Science, Technology, Engineering, and Mathematics (pp. 91-108). New York, NY: Springer. I would create a literacy center that focused on ages 14-24. It would provide support for workplace and college literacy. It would serve as a lab for pedagogy and curriculum that could impact the historical education debt in terms of literacy. Research-practice partnerships are a win-win for researchers and community members. Dr. Allen Talbert is a Professor of Youth Development and Agricultural Education in the department of Curriculum and Instruction. He began at Purdue in 1994 as a visiting assistant professor and became permanent at Purdue in 1995. He has previous K-12 experience teaching Agriculture at Hanover county and Albermarie County Public Schools in Virginia. Allen was also a visiting assistant professor at Texas A&M University. My research is focused on underrepresented populations in agriculture. I have studied students from ethnic minority groups and their attitudes toward secondary agricultural education especially in urban areas. I am currently exploring the factors that contribute to a successful urban secondary agricultural education program. I am from a part of Virginia that has a large African American population. I had African American agriculture teachers and taught with an African American agriculture teacher. As a teacher, I noticed the lack of new African American agriculture teachers. In addition, when I started my PhD program, I wanted to explore factors influencing career decisions. Working with the urban agricultural education program in Indianapolis where I have conducted much of my research. Seeing that young people have career and higher education opportunities open to them that they didn’t even know existed is rewarding. I think my research has helped guide the recruitment efforts, curriculum offerings, and career guidance of this and other urban agricultural education programs. I’m most proud of the textbook I co-wrote, now in its 3rd edition. (3rd edition). Columbus, OH: Pearson Education. ISBN-13: 978-0132859608. I guess regarding journal articles, the one from my dissertation started my career off on the right footing. Something I think I’ve done: Never take proposal and journal article reviews and rejections personally. Look at the feedback as a way to get better next time. Definitely revise and resubmit, whether to the same place or a different agency/journal. Dr. Amanda Case is an Assistant Professor in Counseling Psychology in the Department of Educational Studies. Amanda started Purdue in 2018 and comes to us from Washington College where she was an Assistant Professor in psychology. Amanda also was a program coordinator for the master’s program at Boston University and has experience teaching Systems Concepts in Counseling & Development. together to prepare lower-income students and students of color for higher education and how organizations and postsecondary institutions can support these same students after they have matriculated. schools were like that so it was a shock when I found out they weren’t. Knowing that a lot of students don’t feel a sense of belonging in their schools often because of structural inequities led me to start thinking about how students could be supported outside of school settings and how networks could be built up around kids to buttress their educational and life preparation. When I was at Washington College my collaborators and I created a college preparatory program for lower-income youth (HOYAS CPIP) that was funded for two years by the Maryland Higher Education Commission. Prior to that, I had done a good amount of evaluation with outof-school programs, but I had never spearheaded the design, execution, and evaluation of an intervention. It was hard work but very rewarding. A few years ago, the Director of a youth development program and I co-authored a manuscript that was published in the Journal of Education. I was (and am!) so proud of that piece because I truly believe that practitioners and researchers should be collaborating more often, and working on that piece was the first time I was able to live out that value. We had a blast writing it, too! country?). The programs would partner with schools, families, and existing community-based organizations in each community in order to be responsive to the needs and students in that area. One of my mentors told me that if I focus on doing meaningful work, the publications and funding will follow. I hope that’s true because if the work I’m doing doesn’t have the potential to improve the world and combat injustices then, really, what’s the point? Dr. Kathy Obenchain is the Associate Dean of Learning, Engagement, and Global Initiatives. She is also a faculty member in Social Studies Education within the department of Curriculum and Instruction. Kathy is a Purdue alumnus, receiving her PhD in Curriculum and Instruction in 1997. She later became a faculty member at Purdue in 2011. She has previous experience teaching at the University of Nevada and the University of Texas. Kathy has also taught U.S. History, World History, World Geography, and American Government at Logansport High School. My research centers on two lines of inquiry: 1. Social studies as a vehicle for democratic citizenship education. This includes an emphasis on studying the teaching and learning of social studies in K-12 U.S. classrooms and how enlightened and engaged citizenship is encouraged. 2. Democratic citizenship education in emerging democracies. This second line of inquiry focuses on the interdependent and interconnected world and the evolving understandings of democratic citizenship and, in particular, young peoples’ understanding of citizenship. This international work provides essential content for international scholars and is a relevant context for U.S. education in an increasingly complex and diverse world. This interest is closely tied to my family background, including multiple family members in the armed services, as well as growing up with parents that were always working in their community, as a dimension of their civic responsibility. Understanding how schooling plays a part in how one’s civic identity develops and evolves seemed to be a natural outgrowth of those formative experiences. I was lucky enough to be awarded a Senior Fulbright Fellowship for one semester in Romania. It was a wonderful opportunity to work with high school youth who were exploring their civic identities in a post-communist context. Their insights into what a democratic community should be, and what their role in that community was enlightening. My colleague, Rebecca Callahan from UT Austin and I have collaborated on several pieces that look at the citizenship education experiences, and the civic potential, of immigrant youth. This has been a wonderful collaboration and learning opportunity for me. Callahan, R., Obenchain, K. (2016). Garnering civic hope: Social studies, expectations, and the lost civic potential of immigrant youth. Theory and Research in Social Education, 44(1), 36-71. DOI: 10.1080/00933104.2015.1133358. I would like to do a longitudinal project that explores the evolution of students’ civic identities across their school years. If I could follow a group of kids from K to 12, spending substantial time in their classes to better understand the civic curriculum and instruction, as well as learning about their out-of-school civic experiences, I would be very happy! There is a great deal of research on the civic development of youth; developmentally, that makes sense. But there is limited work on the early years and I would like to see a longitudinal picture. Practical advice – write every day, even for a little while. It can be fingers to keyboard, or reviewing data, or looking at some new literature. This process keeps the research always on your mind and makes it easier to pick up where you stopped the next day. received his PhD from Purdue in 2006 and was hired by Purdue that same year. Prior to academia, Anatoli had a fairly extensive experience as an education practitioner, working as a classroom teacher, curriculum developer, and school administrator. Broadly speaking, I am interested in many aspects of citizenship education. More specifically, my research is focused on the development of global citizenship education, the role of ideology and institutions in citizenship education, and interplay of identitie(s) and citizenship(s) in education. I believe personal history and experiences always play a critical role in the paths we choose in scholarship. Being a product and observant of systems defined by different cultures and ideologies, it was natural for me to become interested in the ways social realitie(s) are constructed, and how they impact institutions and develop agencies. After more than 20 years of experience as a classroom teacher and school administrator, education was an obvious (and logical) choice of application of my academic interests. Social reality is called social because it is created by people. I do a lot of observations and interview for my studies. It is difficult to pinpoint a definite rewarding experience but two specific “aha moments” always excite me. First, when I see how my interviewee discovers something new in the course of the interview, something she or he never thought about before. Second, when I, through data collection or analysis, find “a pearl” I never thought I would find. There are pieces that I like; there are pieces I like less… Frankly, I am happy there is nothing that I wrote that I should be ashamed of. That’s easy – how can we predict the future (political, economic, cultural) using current education data? What’s the magic formula? (Disclaimer: I know it doesn’t exist… just dreaming). Chemistry in the College of Science. She began working at Purdue in 2014. Minjung received her PhD in Curriculum and Instruction with a focus in Science Education from the University of Maryland. She was a post doctorate research at John Hopkins, has previous experience researching organic chemistry, and was a middle school science teacher in Korea. My research focuses on issues around diversity, equity, language, and participation in various science learning settings. In particular, I am interested in how racial, ethnic, and linguistic minority students engage in science classroom discourses, how they discursively construct their identities, and how such social interactions impact their science learning by providing or not providing access to resources for participation and learning. As a linguistic and racial minority myself, I started noticing challenges that immigrants and refugee students face in the learning of science, especially in current reform-based discourse rich science learning settings. This led me look into literature and current practices of teachers, and I found gaps in the current literature and practices. That’s how I came to be interested in pursuing research to examine science learning and participation of racial, ethnic, and linguistic minority students and design learning environment to better support them. I have run an afterschool STEM program that engaged resettled Burmese refugee youth in learning about climate change. At the end of each semester, youth shared one thing for which they are proud of themselves. Several participants talked about how they had participated and learned differently in the program through opportunities that their school science classes typically do not provide. It was one of the most rewarding moments in my research experiences. I am proud of this paper because it was my first independent work that I designed, conducted, and published. Also, I hoped to contest stereotypes about Asian immigrant and Asian American students. This paper nicely presents rebuttals to several prevalent perceptions about Asians. I am very interested in how multilinguals use multiple languages in learning science. To conduct this kind of research, I will need multilinguals who can translate data and help me understand nuances in linguistic and cultural differences. Unfortunately, I have not had luck in securing funding to pursue it. Pursue what really matters to your heart. Dr. Jill Newton is a professor of Mathematics Education in the department of Curriculum and Instruction. She received her PhD in Mathematics Education from Michigan State University and began at Purdue in 2008. Jill has 12 years of experience teaching secondary mathematics and science. Nine of those years were teaching abroad in the Democratic Republic of Congo, Bulgaria, Tanzania, and Venezuela. She also volunteered in the Peace Corps in Papua, New Guinea. My research is broadly related to mathematics education curriculum, both in K-12 contexts and in teacher education. Most recently, this work has been focused on how pre-service teachers are being prepared to teach algebra, given the algebra-for-all movement in the United States and the resulting diverse population in algebra classrooms. In addition, I’m currently investigating the impact of study abroad programs on pre-service teachers’ conceptions of, and attention to, social justice. Mathematics was always both fun and rewarding for me. My father was a “gifted” mathematician, who because of his family’s economic struggles, was unable to pursue this work, and instead spent his life working in a factory. He fostered a love for mathematics in me, and in some ways, I see my work as a tribute to him. I try to help teachers think about recognizing talent in mathematics beyond “well preparedness” and paying close attention to students who may go unnoticed because of race or SES. My father often visited my classrooms and wowed my students with his knowledge of numbers and their relationships to one another. I most enjoy working on research teams and have had many opportunities to do this, both in graduate school and during my time at Purdue – it has confirmed to me that we are smarter together and the products resulting from collaboration are almost always “better” than what any one of us could have come up with by ourselves. I am most proud of the series of presentations and publications resulting from Preparing to Teach Algebra, an NSF-funded study. About 20 individuals (faculty, graduate students, undergraduate students, teachers) served on this research team over the course of the project, and it resulted in many presentations in local, state, national, and international venues as well as multiple publications, focused on a range of topics including equity in algebra teaching, modeling, connections, and use of technology. It is the cumulative nature of this work and the number of individuals involved of which I am most proud. My dream project would combine my interests in mathematics education and international teaching and learning, bringing together algebra teachers from around the world to share ideas and potentially write curriculum together. I suppose just to never underestimate the power of collaboration and to include scholars with a wide range of experiences on your research teams. Dr. Yan Ping Xin is a Professor of Special Education in the Department of Educational Studies. She began working at Purdue in August 2002 and received her PhD in Special Education from Lehigh University in 2003 with an emphasis on mathematics intervention for students with learning difficulties. Prior to receiving her PhD, she worked as a Project Manager at Lehigh Support for Community Living. Before coming to the U.S., Yan Ping worked as an instructor at Psychology Department of East China Normal University in Shanghai, China. My research interests include effective instructional strategies in mathematics problem solving for students with learning difficulties, algebra readiness, computer-assisted differentiated instructional system, as well as cross-culture curriculum comparison. My recent research agenda focuses on developing/enhancing Conceptual Model-based Mathematics Intelligent Tutors and promote the use of this evidenced–based intervention program (COMMIT) by elementary school teachers and educators who work with at-risk students. As English is not my native language, I, myself, have a phobia of reading English let alone conducting research in reading intervention! On the other hand, American students’ underachievement in mathematics from an international landscape and findings from my literature synthesis/metaanalysis during my PHD program and later cross-cultural curriculum comparison studies led me to my current research interests—developing math intervention programs. If I have to pick one, the NSF-funded seven-year cross-disciplinary project was an eye-opening experience. Although my collaborators and I are constantly confronted with disagreements on what is the best way to teach math understanding to students with learning disabilities, we have all learned from each other’s different educational perspectives/pedagogy, which has broadened our view of learning and instruction in general. I am proud of the publication Cross-disciplinary Thematic Special Series: Special Education and Mathematics Education that I guest edited. This special series sharing pioneering work conducted by a collaborative working group involving researchers from mathematics education and special education emerged from the Psychology of Mathematics Education (PME) Annual Conferences. Xin, Y. P. & Tzur, R. (2016). Cross-disciplinary Thematic Special Series: Special Education and Mathematics Education. Learning Disability Quarterly, 39(4),196-98. If I had unlimited funds and time, I want to invest the funds and time in enhancing the prototypes of the Conceptual Model-based Mathematics Intelligent Tutors (COMMIT) we have developed (supported by NSF). To make the product more user-friendly, we could add gamification features to the program to make math learning more fun. In addition, by adding online assessment and reporting features to the system, it is more likely that teachers/educators will use the program. Further, adding the feature of virtual reality will perhaps promote the establishment of an online collaborative learning community to promote the learning. Identify your own strengths (even though you may experience all kinds of disadvantages, comparing yourself to others) and enjoy pursuing what you are passionate about. Rachael Kenney is an associate professor of mathematics education in the Department of Curriculum and Instruction. Prior to receiving her PhD, she was a continuing lecturer at North Carolina State University. In 2008, she received her PhD in mathematics education from North Carolina State University and immediately began working at Purdue University. My research is focused on teachers’ or students’ anticipatory and reflective practices in learning and teaching mathematics. This work includes engaging teachers and students in the use of writing in mathematics to reflect on their understanding of particular math topics or problems. It also includes unpacking teachers’ practices with formative and summative assessment to drive both instruction and learning in the classroom. Currently, I am working with a colleague to conduct qualitative syntheses of research studies related to formative assessment. We are excited to use relatively new methodologies like meta aggregation and meta ethnography to support mathematics teachers by providing evidence-based recommendations for instructional decision-making practices. My research interests stem from my interactions with college students who struggle with or fear mathematics, and with teachers who struggle to help mathematics be meaningful and approachable for such students. I believe that getting to know what and how students think about mathematics is critical to designing instruction that meets the diverse needs of learners in a classroom. To do this, we need to help students learn to be reflective thinkers and to share their thinking out loud, and we need to help teachers learn to reflect on students’ thinking to drive instructional decisions. The most rewarding part of research for me is producing findings or recommendations from the findings that can be directly applied to practice, either in K-16 mathematics classrooms, or in math teacher education programs for future teachers. Kenney, R., Shoffner, M., & Norris, D. (2013). Reflecting to learn mathematics: Supporting pre-service teachers’ pedagogical content knowledge with reflection on writing prompts in mathematics education. Reflective Practice 14(6), 2013. I am very interested in the language of mathematics and how people come to learn and interact with this academic language. Math is often touted as the “universal language,” but I believe this is a misnomer — it undermines the intense language demands of mathematics for every learner. Symbols, vocabulary and even the way of writing a number differs around the world. In the United States, the symbolic language even changes as students progress to higher levels of math! With unlimited funds and time, I would love to travel the world to collect examples of what the language of math looks like in different countries and in different math courses. I would like to observe discourse practices that help students learn this new language in their countries. Such information could help develop greater understanding of teaching practices that can make mathematics academic language meaningful to all students, including second language learners in a math classroom. Be passionate about what you research. Mandy Rispoli is an associate professor of special education in the Department of Educational Studies. She received her PhD in special education with a concentration in autism and developmental disabilities from the University of Texas at Austin. Before she became a faculty member at Purdue in 2015, Mandy was an assistant and associate professor at Texas A&M University. She also has previous experience as a special education preschool and elementary teacher and as a program director at Capitol School of Austin. Through my research, I investigate innovations in assessment and treatment of challenging behavior in young children with autism or other developmental disabilities. Challenging behavior is any behavior that social isolates the child, interferes with learning, or causes harm to the child or the environment. Working within the science of applied behavior analysis, I examine child-challenging behavior as a form of communication. By learning what the child is trying to communicate, we can adjust the classroom environment and teach the child more appropriate social-communication skills to replace their challenging behavior. I am also interested in professional development for in-service teachers, so they can assess, prevent, and treat challenging behavior in their classrooms. Most recently, I’ve been working to improve the contextual fit of behavior assessments within classroom environments. I am currently conducting a study funded by the Clifford B. Kinley Trust to develop and evaluate a professional development curriculum for preschool special education teachers to design and implement functional behavior assessments and function-based interventions with their students. As a former preschool special education teacher, I know firsthand the difficulties that teachers face with respect to classroom management and challenging behavior. Though all children engage in challenging behavior as part of their development, some children, especially children with autism spectrum disorder, require additional supports and intervention to promote social-emotional development. Decades of empirical research show us that intervention based in applied behavior analysis is effective in promoting skill acquisition and decreasing challenging behavior for children with disabilities. Yet, often public school teachers are not well prepared in using applied behavior analysis within their classrooms. My hope is to change that through teacher education and professional development programs for future and current teachers, through ongoing engagement with school partners, and through improving the contextual fit of applied behavior analytic approaches with school environments, resources, and teacher values. I am a single case design researcher. This is a quantitative research approach that uses repeated measures to examine change in dependent variables at the level of the individual. One of the greatest features of this research approach is that am able to get to know my participants and see the effects of our interventions on their lives firsthand. To watch as a child’s challenging behavior improves and to see teachers implementing interventions with high fidelity in their classrooms is so rewarding. I am thrilled to have very talented students helping to conduct this line of research, but I find that if I don’t also get out into the classrooms myself, I miss out on some of that joy! I’d love to create a challenging behavior research and training center! Through the center, I’d like to develop and evaluate intensive and ongoing supports for families and teachers in assessing and treating challenging behavior across the country and around the world. Knowing what fuels your passions and keeps you going is essential. For me, these are collaborations with other researchers, and contact with children with disabilities. When either of those is missing, my research and my enjoyment of my research suffers. I love having collaborators with whom I can share ideas, innovate, and problem solve. I entered this field because of my passion for helping children, so making sure I stay in contact with children is essential for me and ensures that I have a handle on the needs of today’s children and teachers. This allows me to ask meaningful research questions that can have direct impact. My advice is to think about what drives your passion and make sure you stay connected with that through your research. Dr. Christian Knoeller is an Associate Professor of English Education in the Department of Curriculum and Instruction. He began his career at Purdue in 1999 and received his PhD from the University of California-Berkeley in Education and Literacy and Language. Christian has previous experience teaching English in Southern California, teaching ELL/ English for academic purposes at the American English Institute at the University of Oregon. He also taught distance education high school English through Alaska’s Centralized Correspondence Program in Juneau and has taught and coordinated ELL courses for immigrant adults. I am currently developing a scholarly manuscript building upon and extending the arguments in my book, Reimagining Environmental History: Ecological Memory in the Wake of Landscape Change. My new project, with the working title Journeys in Search of Environmental History: Retracing Historically Significant Expeditions, surveys contemporary book-length accounts by present-day adventurers, historians, and naturalists who set out to replicate historically significant journeys, comparing their observations of places today with the textual record of original exploration including those by 1) William Bartram and 2) Lewis and Clark with The Corps of Discovery as well as expeditions of major 19th and 20th century naturalists including 3) John James Audubon; 4) William McGillivray; 5) Henry David Thoreau; and finally 6) Roger Tory Peterson. This study is distinguished by its treatment of environmental history and landscape change in relation to the written record, a trope that frames his previous book. What led you to be interested in these areas? What has grown into a lifelong fascination for reading natural history was undoubtedly instilled by formative, childhood experiences of exploring the outdoors. Given environmental desecration that I have witnessed personally, the preservation of wetlands strikes an especially deep chord. The burning and burial of a small marsh beside our property line on Deer Creek in Carroll County seemed to me an unspeakable crime against nature that might be likened to a microcosm of the whole region’s environmental history over the last century and a half. My interest in reading environmental history was initially catalyzed several decades ago by seminal works such as Wildlife in America by Peter Matthiessen (1959), The Unsettling of America by Wendell Berry (1977), and Of Wolves and Men by Barry Lopez (1978). Since that time, a number of more recent volumes of place-based ecocriticism have deepened my appreciation for literary representations of environmental history. It has been developing the Reimagining Environmental History manuscript incrementally, chapter by chapter, over a ten-year period. I am proud of my publication, Reimagining Environmental History: Ecological Memory in the Wake of Landscape Change. This expansive volume–organized into ten central analytic chapters, a four-part introduction, and a multifaceted epilogue–is an ambitious, ecocritical study spanning representations of landscape change in the Midwest by 19th century artist-naturalists, pioneering ecologists, 20th century poets. I would like to pursue archival research for the penultimate chapter of my book and to pursue archival research for the closing chapter on Scottish Naturalist with William MacGillivray. It is important to take the long view. You can use every conference paper as a stepping-stone to journal publication and every article as a stepping-stone to book publication. Dr. Rose Mason is an Assistant Professor of Special Education in the Department of Educational Studies. She began working at Purdue in August 2017 and received her PhD in Special Education with an emphasis on autism and applied behavior analysis from Texas A&M in 2012. Prior to receiving her PhD, she worked as a Licensed Specialist in School Psychology in Texas providing psychological services including assessment, educational programming, parent and teacher training, behavioral intervention, and counseling for EC-12. As a Postdoctoral Fellow and later, an Assistant Research Professor, Rose worked at Juniper Gardens Children’s Project at the University of Kansas. The overarching theme of my research agenda is increasing access to evidence-based practices for children, adolescents, and young adults with autism. Facilitate research to practice through identification of sustainable methods of training and feedback for practitioners who intervene with children and adolescents with challenging behaviors. Develop and evaluate interventions that are efficient and feasible to implement with particular focus on contextual variables that strengthen the efficacy of the intervention. We have a strong evidence-base of interventions that are rather effective for teaching and improving skills for individuals with autism. However, they are resource intensive and not always feasible within the intended settings. As a result, individuals with autism do not always have access to the very tools and resources necessary for improving their long-term outcomes, particularly as they move into secondary and post-secondary settings. Changing this requires identifying ways to simplify interventions and make them more accessible. I just recently completed a pilot study in which we evaluated the effects of tele-coaching to improve the social engagement and question-asking of college-age girls with autism during lunch with their peers. The intervention allowed the coach to provide prompts and feedback to the girls in a non-intrusive manner. The intervention improved the intended skills considerably and many of the participants, all who were in their early 20s, indicated it was the first time they had enjoyed “hanging out” and interacting with their peers. Although this was definitely positive feedback regarding the study. It was also somewhat disheartening to be face-to-face with the fact that these adult women had not experienced positive social relationships. Additional evidence for me that we need to continue to find creative ways to make sure what we know works is accessible. A recently published paper, ”Improving paraprofessionals procedural integrity: Impact of a teacher-as-coach Model, ” is the product of an IES funded Researcher-Practitioner Partnership project in which my colleagues and I worked with a large urban school district to identify the needs and challenges of creating a strong paraprofessional workforce. Working together with stakeholders to evaluate and address an educational challenge took longer than just develop an intervention and then testing it out, yet, I think it yielded a more sustainable practice than I would have developed on my own and speaks to the importance of an implementation science framework. I am really interested in conducting a longitudinal study of individuals with autism and their parents specifically evaluating how differences in access to interventions impacts long-term outcomes for individuals with autism as well as the parental quality of life. Ben Mason is assistant professor of special education in the Department of Educational Studies. He began working at Purdue University in 2017. Ben received his PhD in psychology with a concentration in special and bilingual education from Texas A&M University. He has previous experience working in a psychiatric hospital and residential treatment facility for youth in East Texas. That time was often spent in the classroom assisting students primarily in the middle to high school grades and the principal encouraged him to get teacher certification in one of the critical needs shortages for the state—special or bilingual education. He decided on bilingual education and taught PK-3rd grade for four more years, rounding out his K-12 experience before graduate school. Ben also worked at the Juniper Gardens Children’s Project at the University of Kansas. Most broadly, it is about understanding ways to make the school experience more positive and impactful for students—especially those at the middle and high school level and at the transition points across grades. My current behavioral work focuses on class-wide practices and student-managed interventions while my academic focus is on math and writing. The importance of early education is universally accepted, but we have to continue the work even if the academic and behavioral standards have not been met by the secondary transition. The nature of intervention work is structurally different once the number of teachers shift from one or two to six to eight, and I work to figure out how to navigate that difference. I have to say it was my five years working with Howard Wills at Kansas. As a research mentor, he was absolutely topnotch in helping me understand and engage in the grant writing process. He is a big believer in repetition if you want to get better at complex and intensive processes like applying for funding. So, if you want to get better at it, do it more frequently. He also encouraged me to go to the spaces where everyone agrees there is a need but few people actually doing the work. Figuring out how to parse rating accuracy for that topic was a labor of love and offered some insights into the link between implicit beliefs and real-world practices that I had seen firsthand in schools. The science of matching pace of instruction to pace of learning could benefit from a focused program of research with significant funding. We do not train athletes with the same tools across all sports, and we do not provide the same program to beginning, intermediate, and advanced athletes because we have very clear empirical data that it does not work as well. We could reach that same level of understanding with instruction for the middle 60% of students instead of just those students in need of special or gifted education. This institution is filled with highly productive and respected scholars, so I will give the advice I wish I had gotten as a graduating student. We overestimate what we can do in a month, but greatly underestimate what we can do in a decade. An academic career is an ultramarathon, so pick your topics and collaborators well and maintain those productive relationships while monitoring your weekly productivity. Signe Kastberg is professor of mathematics education in the Department of Curriculum and Instruction. She received her PhD in philosophy and mathematics education from the University of Georgia. She has previous experience teaching at Monadnock Regional Middle High School in New Hampshire. Signe also was an assistant director for the Urban Center for the Advancement of STEM Education and associate dean for academic affairs at Indiana University-Purdue University. In 2010, she began working at Purdue. My research agenda focuses on constructivist teaching as defined by Steffe and D’Ambrosio (1995). Drawing from a radical constructivist epistemology as described by Von Glasersfeld (1995), my research program explores three strands used to develop constructivist teaching: Strand I, prospective and inservice teacher content knowledge; Strand II, children’s mathematics; and Strand III, pedagogy and tools in engagement in mathematics teaching and learning. The primary content focus in the three strands is the multiplicative conceptual field as defined by Vergnaud (1994) which includes understandings of decimals, place value, and proportions. I taught mathematics courses in community college for years prior to going back for a PhD in mathematics education. During that time, I was inspired to learn more about adult learning of mathematics to inform my own teaching. I worked hard in those days to design engaging curricula for my students. Often these materials were useful to some portion of the students, but still I noticed some challenges. The observation that troubled me most was hearing students in Calculus say they had never learned about or seen logarithmic functions. This was troubling since I had taught the same students that topic when they were in College Algebra. I realized that I needed to know more about how adult students learn mathematics and that motivated me to go to graduate school in mathematics education. Through my PhD, I identified foundational concepts and contextual factors that support adult learners to engage in mathematics productively and with joy. Early in my career, I had the chance to work with a middle school teacher and her classes. Mathematics classes in the school were multi-age, grade, and ability. The teacher, Wendy Hylton, and I worked together for three years. During that time, I conducted a study of three students with special education labels. The study was designed to describe the mathematical thinking of the students in the context of a general education classroom. There was so much energy in Wendy’s classroom; I never wanted to leave. Wendy and the students helped me understand and appreciate the work of teaching and learning in K-12 schools in ways I had not in graduate school. Interactions with Wendy and the students continue to inspire my research and writing today. The publication I am currently the most excited about is a commentary I was asked to write in response to an article in Constructivist Foundations (http://www.univie.ac.at/constructivism/journal/9/3/352 ). This commentary focuses on mathematics teachers and their use of models of learner’s mathematics in teaching. I am proud of this work because the authors of the article responded to my commentary noting the significance of my questions about their work and identifying my suggestions as a productive next step in investigating model building. My dream research project involves exploring prospective elementary teacher model building. In my view, all teachers are model builders. In addition, I think the focus on teachers’ models of learners’ mathematics (second order models) is too narrow. Instead, I hypothesize that teachers’ models of learners’ mathematics are nested inside teachers’ models of learners. I would love to study this nesting and investigate how models of learners and learners’ mathematics are mutually informing in mathematics lessons. Always follow your curiosity and passions! Following your curiosity and passions will insure that you stay excited about your work, are motivated to complete projects, and want to share what you find. Selcen Guzey is an assistant professor of science education in the Department of Curriculum and Instruction. She began at Purdue in 2014. She has a PhD in science education from the University of Minnesota. Selcen was a middle school science teacher in Isparta, Turkey, and has worked at the STEM Education Center at the University of Minnesota. Much of my research over the years has focused on integrated STEM education. My long-term research goal is to investigate effective ways of applying reform-based teaching practices in K-12 classrooms to support students’ meaningful learning in science and engineering. Recent national policy documents recognize engineering design and practices as important elements in a new vision for science education. Throughout grades K-12, students are expected to actively engage in scientific and engineering practices. In this new vision of science education, engineering provides additional approaches to inquiry-based practices and has the potential to enhance the teaching of science. It is especially important to incorporate engineering design into curricula at the secondary school level as students begin building a more robust and thorough understanding of basic science concepts. Thus, I believe it is critical to study effective ways of engineering integration in science classes. I was part of an engineering education research team when I was a PhD student. We studied the use of modeling activities in undergraduate engineering courses through funds from a National Science Foundation (NSF) Improving Undergraduate STEM Education (IUSE) grant. The research team also conducted engineering education research at the K-12 level. Engineering standards were added to K-12 science education standards in Minnesota in 2009, so we were able to conduct large-scale studies about teacher and student learning of engineering as many teachers started exploring engineering integration in science. I am still collaborating with several researchers from that research team. I really enjoy developing professional development programs and curriculum materials. I have conducted in-service teacher professional development programs about engineering education in science classes for over a thousand K-12 science teachers. Curriculum materials that I have designed and implemented in the professional development programs have been used by teachers in many K-12 science classrooms. I have conducted various research studies in the context of these professional development programs and curriculum materials to document in-service science teachers’ learning process of engineering and implementation of engineering practices in their classrooms. I would try to reach out to all K-12 science teachers in Indiana through professional development programs to help them learn and implement effective integrated STEM education approaches. I really enjoy collaborating with researchers from different disciplines. I was hired as a part of a cluster hire in Integrated STEM Education. All cluster hire faculty members are CATALYST researchers. We work together to develop new STEM courses and grant proposals. CATALYST also provides us many opportunities to expand our collaboration network and to get more cross-disciplinary and cross-institutional projects. I believe there are many benefits to working in collaborative cross-disciplinary projects. 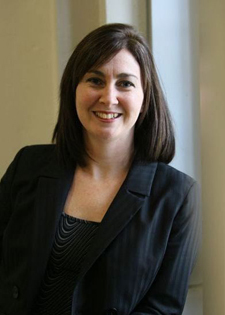 Chantal Levesque-Bristol is professor of educational psychology in the Department of Educational Studies, and is currently the director of the Center for Instructional Excellence (CIE). She began working at Purdue University in the spring of 2012. Chantal received her PhD in social psychology from the University of Ottawa, Canada. She has prior experience working at the University of Rochester as a visiting professor and at Missouri State University as a Professor of Psychology. My general research area is the study of learning and motivation in higher education. More specifically, I currently study the factors in the learning environment, which contribute to the creation of student-centered learning environments and how these learning environments then foster engagement, motivation, and learning across fields in higher education. I have a keen interest in motivation, and I love teaching. Combining the two areas in my research area seemed natural to me. I have been fascinated by what makes people learn, engage in the process of learning, and subsequently succeed. Working as a visiting professor with Edward L. Deci and Richard M. Ryan at the University of Rochester, New York, on a National Institutes of Health (NIH) funded research project examining motivation to stop smoking and eat a healthy diet, was an extremely rewarding experience. I was able to produce many research papers from this experience which allowed me to build the necessary research experiences to pursue significant applied research and to use this knowledge several years later to secure my own educational research grant from the Department of Education’s First-in-the-World grant program. The work that I am currently conducting in regards to the IMPACT project and the Success through Transformative Education project is at various stages of publication at the moment. Although this work cannot be shared at the moment, I would like to share a couple of publications from my time conducting research at the University of Rochester, NY. The other publication would have to be an article based on my dissertation work on the investigation of primed and chronic level of motivation, published in 2003 in the Personality and Social Psychology Bulletin (Vol. 29, No. 12): http://journals.sagepub.com.ezproxy.lib.purdue.edu/doi/pdf/10.1177/0146167203256877. This was ground-breaking work, and I’m very proud of having conducted these studies and contributed to the field in this way. I have been very fortunate to be able to participate and contribute to the IMPACT course transformation project, which became the intervention for the Success through Transformative Education and Mentoring (STEAM) project funded by the First-in-the-World (FITW) grant from the Department of Education. I would say that this has been my dream research project. We are currently beginning the fourth year of the grant, and the results of the first wave of intervention are starting to emerge and look incredibly promising. This research has great potential to inform how we work with instructors to transform courses and create environments in which active learning takes place, which foster the creation of student-centered learning environments and influence student learning. Study something you love and that you are passionate about. Research is difficult, and there is no such thing as an “easy paper.” To be successful at designing, conducting, and publishing research, you need to be doing something you are truly inspired with and passionate about. Dr. David Eichinger is an associate professor of science education in the Department of Curriculum and Instruction. He has been at Purdue since 1991. David received his PhD in science education from Michigan State University. Prior to Purdue, David spent six years as a Peace Corps volunteer in Zaire (now the Democratic Republic of Congo) where he taught high school biology and chemistry. My research interests include professional preparation and development of both elementary and secondary teachers, collaborative problem solving and its role in the teaching and learning of science, and the nature of science and its importance for both teachers and students. My “non-traditional” teacher training with the Peace Corps really sparked my interest in how formal teacher education programs are developed, and why they include or exclude certain skills, knowledge, practices, etc. A graduate course in the nature of science during my Master’s program hooked me on this topic and led me to pursue research in this area. My current collaborations as a Co-PI on the Using Principles of Design to Advance Teacher Education (UPDATE) and the Teachers and Researchers Advancing Integrated Lessons in STEM (TRAILS) projects have stretched me as both a teacher and as a researcher. In my 27th year as a faculty member, it’s good to encounter new challenges to keep me fresh. In 1998, I was asked to be a co-guest editor for a special issue of the Journal of Research in Science Teaching (Vol. 35, No. 2) on “Examining the Epistemological and Ontological Underpinnings in Science Education” with my former colleague, Dr. Sandi Abell. As a relatively new faculty member, it was a thrill to be able to work with and be mentored by Sandi and to help shape that issue of our premier research journal. Every semester I teach a biology course for elementary education majors (BIOL 20500 or BIOL 20600). Each semester, I recruit and mentor 12-15 undergraduate and graduate teaching assistants to help teach the laboratory portions of these classes. I would love to be able to develop a more systematic investigation of the professional development of this group of teachers; one which I don’t think receives as much attention as P-12 teachers. Follow your passions, and be willing to try new research ideas and approaches. You never know where they may lead! Kharon Grimmet a clinical assistant professor in special education in the Department of Educational Studies. She has been at Purdue since 2014. Kharon received her PhD in special education from Indiana University. She has prior experience working with Marion Community Schools as an elementary life skills teacher for first graders and with MSD Wayne Township for fourth graders. My research interests focus around teacher development and adults with intellectual or developmental disability as they transition from school into adulthood. Coordinating the Online MSEd in Special Education program allows a number of opportunities to research more than just the content used to mold and shape pre-service and in-service teachers, but we have the opportunity, here at Purdue, to study the delivery mechanism of that content as well as the clinical practice experiences (practicum/student teaching) our students in the online program participate in while in an online program. I also enjoy working with adults with intellectual or developmental disability. I use photo-elicitation as a means to allow individuals to tell their personal stories and experiences. Sometimes communication can be difficult for individuals with an intellectual or developmental disability, thus, photo-elicitation allows memories and current experiences to move from being abstract concepts, which are difficult to process, to a concrete concept through the use of photos. In a day when self-determination and self-advocacy are really important, seeking ways to support communication that extends beyond simple answers, but allows deep explanation, is vital for individuals with disability. My former students! I am still very close with many of my students and their families from my first years of teaching special education. My dissertation was inspired by the fact that these little boys and girls have now grow up to be men and women. I wanted to know how they would describe or express their quality of life. What “good” was my class and other classes to them? How did their education, preschool through 21, impact their life as an adult? Are they employed, independent, happy? My students also drive my passion for teacher education. What do pre-service and in-service teachers need to know and do differently in order to support positive life-long outcomes for individuals with disability? I hope to continue studying the perceptions of individuals with disability and allowing these incredible men and women to help inform and guide teacher education! Seeing your research inform practice! When I talk about photo-elicitation with parents, caregivers, and teachers it can be difficult for them to consider that their child/client/student can express thoughts, feelings, desires, fears. Many people assume that individuals with disability “can’t,” and so we speak for them, to them, about them. When given an opportunity, through photo-elicitation, individuals with intellectual or developmental disability can communicate and share his/her hopes and dreams! Parents of students with disability have begun using photos from the school or workday to hold conversations with their child at the dinner table. Yes! My colleagues and I just contributed to a book this year – Participant Empowerment Through Photo-elicitation in Ethnographic Education Research: New Perspectives and Approaches. We presented our research at AERA and from that presentation, Springer offered us the opportunity to publish together. The book can be found here. Unlimited TIME and MONEY…this really is a dream! One day, I want to provide service dogs to families who have young children with disabilities. Research tells us that parent and teacher expectations of individuals with disability impact positive life-long outcomes of employment, independence, and relationships. High expectations correlate with positive outcomes, low expectations with a lack of employment and independence. I want to know if we can raise parents’ expectations of their child, who has a disability, by placing a service dog within the family unit. Owning a dog allows opportunities participate in chores, demonstrate responsibility, etc. Could a dog encourage parents/families to raise their expectations and consider opportunities/experiences for their child with a disability that they may have previously shied away from due to previous thoughts/beliefs/expectations? I would follow the child well into adulthood. Make your research matter because … “what we find changes who we become” (Peter Morville).